The Second Epistle of John, often referred to as Second John and often written 2 John, is a book of the New Testament attributed to John the Evangelist, traditionally thought to be the author of the Gospel of John and the other two epistles of John. The language of this epistle is remarkably similar to 3 John. It is therefore suggested by a few that a single author composed both of these letters. The traditional view contends that all the letters are by the hand of John the apostle, and the linguistic structure, special vocabulary, and polemical issues all lend toward this theory. Also significant is the clear warning against paying heed to those who say that Jesus was not a flesh-and-blood figure: "For many deceivers are entered into the world, who confess not that Jesus Christ is come in the flesh." This establishes that, from the time the epistle was first written, there were those who had docetic Christologies, believing that the human person of Jesus was actually pure spirit. 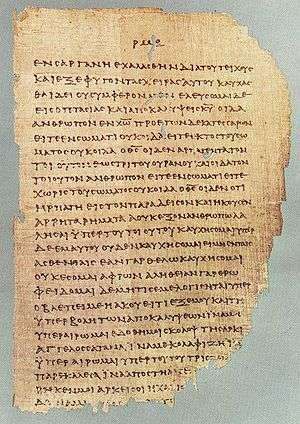 Alternatively, the letter's acknowledgment and rejection of gnostic theology may reveal a later date of authorship than orthodox Christianity claims. This can not be assured by a simple study of the context. Gnosticism's beginnings and its relationship to Christianity is poorly dated, due to an insufficient corpus of literature relating the first interactions between the two religions. It vehemently condemns such anti-corporeal attitudes, which also indicates that those taking such unorthodox positions were either sufficiently vocal, persuasive, or numerous enough to warrant rebuttal in this form. Adherents of gnosticism were most numerous during the second and third centuries. A late date of the composition (which often accompanies assertions of pseudepigraphal attribution). The doctrines of Doceticm and Gnosticism had made inroads among the followers of Jesus in the latter half of the First Century. Some said that Jesus never assumed human flesh, but only had the appearance of flesh, because they were scandalized that Divinity would soil itself by associating so closely with matter. Others said that Christ was raised as a spirit only, and did not experience a bodily resurrection. In this epistle John condemns such doctrines in no uncertain terms with the statement that such persons were antichrist. The text is addressed to "the elect lady and her children" (some interpretations translate this phrase as "elder lady and her children"), and closes with the words, "The children of thy elect sister greet thee." However, some translators prefer to transliterate the Greek word for "lady" with the proper name Kyria. The person addressed is commended for her piety, and is warned against false teachers. The lady has traditionally been seen as a metaphor for the church, the church being the body of believers as a whole and as local congregations. The children would be members of that local congregation. He also includes a greeting from another church in the last verse, "The children of thy elect sister greet thee." The term the elect was a fairly common term for those who believe in the gospel and follow Christ. Another interpretation holds that the letter is addressed to a specific individual, Kyria, but according to scholar Amos Wilder, "the contents of our letter exclude this view". It is also possible that the letter refers to Mary, mother of Jesus; Jesus had entrusted his "beloved disciple" with Mary's life when Jesus was on the cross (John 19:26-27). The children would thus refer to the brothers of Jesus: James, Joses, Simon and Jude, and the sister to Mary's sister mentioned in John 19:25. Mary was likewise never referred to by name in John's gospel. Such an interpretation would assume a much earlier date of composition than modern scholars have suggested. ↑ Burton, Ernest DeWitt (1896). 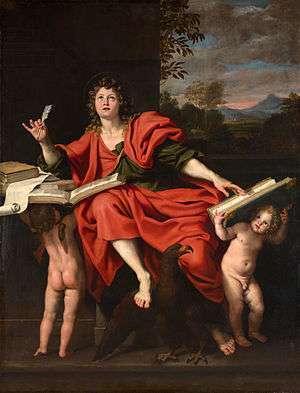 "The Epistles of John". The Biblical World. University of Chicago Press. 7 (5): 368–369. JSTOR 3140373. ↑ Wilder, Amos. "II John: Exegesis". In Harmon, Nolan. The Interpreter's Bible. 12. p. 303.